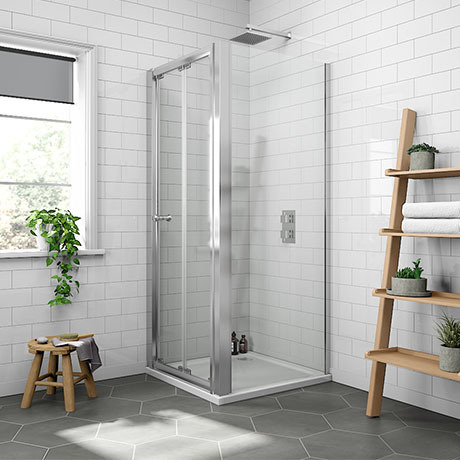 The modern Newark 900 x 900mm bi-folding enclosure with shower tray, create a designer minimalist feel in your bathroom with the sleek lines of the 1850mm high Newark bi-folding shower door with side panel. Made from toughened safety glass with a stylish stain chrome frame. Supplied with a quality 40mm slim Pearlstone shower tray. Very good quality enclosure bi-fold doors a real space saver.